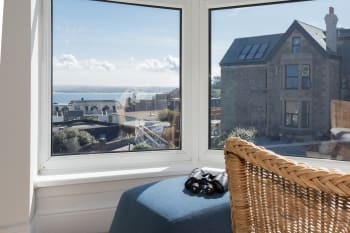 3 Porthminster B&B is an elegant period house enjoying spectacular sea views over St Ives harbour and bay with it's stunning beaches. 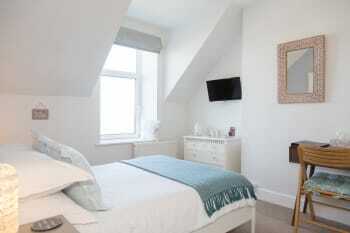 All of our four fresh and contemporary en-suite guest rooms have a sea view. 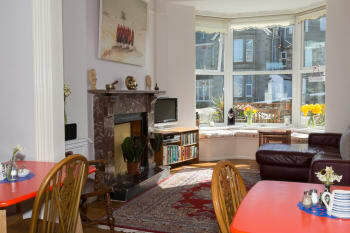 We are a five minute walk to the town centre and beaches. There are no rooms available at 3 Porthminster B&B for these dates. Children: Children aged 16 or over are welcome. Groups: Groups are accepted up to a maximum of 8 people. No stag and hen groups. Breakfast is a highlight. Great quality, great fruit choice. 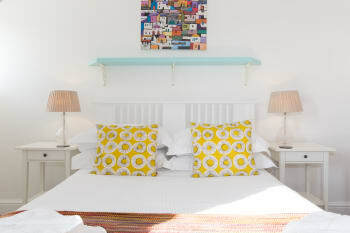 3Porthminster is a lovely b&b, with a warm and friendly atmosphere. The guest lounge on the ground floor has comfortable chairs and a selection of reading materials. Out the front is a timber deck with chairs and tables though we didn't have time to use it during our stay. Our room was spacious and had a sideways view of the water. Recommended. It's a 5-10 minute walk downhill to the waterfront and cafes, restaurants, shops etc. Be aware the return walk is uphill. We had a hire car which we could leave at the front of the b&b, and easy exit from the town for day trips. Very.friendly..Wonderful.room.looking.to the sea..Not.far.from town.beaches.and.bus.station.and walking.paths.. The breakfast was fantastic, the owner was so helpful and the room was immaculate, couldn't fault anything. Fabulous restaurants, and lot's of nice areas to visit. Fabulous B & B, delicious breakfast. Will certainly recommend to our friends. Perfect location for visiting St Ives. The B&B was in a great location. The breakfast was lovely and the room was decorated nicely and was clean and fresh. The owner was very accommodating.....all in all I would recommend a stay here. We will definitely be going back. The warm hospitality combined with a well kept and exceptionally clean room contributed to a very enjoyable time. Soundproofing between rooms was good and with the large and comfortable bed sleep was peaceful and undisturbed. The new extension at Tate St Ives means this is a 'must visit' when in St Ives. It has transformed the gallery. The Barbara Hepworth Museum is a joy to see, her spirit lives on in the garden. Lynn was an excellent and friendly host, everything was completely clean and the breakfast very good. Room 3 has a great view of the town and harbour. The only problem with the otherwise lovely location is the climb up from town. We had good meals at Harbour Fish & Chips, Queen's Hotel and The Loft restaurant. For art and for beaches St Ives is best small town in England! Lovely walk to Clodgey Point along the coast path towards Zennor. We spotted a seal pup in a small cove en-route. Fantastic meals at Cafe Pasta & Blas Burgerworks. 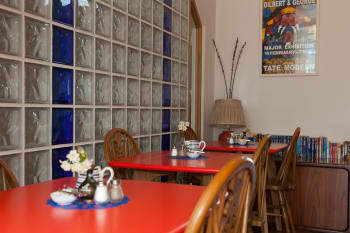 Excellent breakfast and delightful accommodation in good location just a few minutes walk down hill to town. CellarBistro Guided tour at Leach Pottery on Wednesdays at 1030. A lovely, warm and friendly place to stay where we were made to feel welcome. Fabulous view from our room. A wonderful stay at 3 Porthminster. The room was beautiful and spotlessly clean and had everything in it we could have needed. Lynn was so accommodating and there was a lovely relaxed atmosphere. Breakfast was fantastic with quality bacon and sausages. Will definitely book again when we are in the area. Met by John who took us to our room, showed us how to use everything we would need and pointed us in the right direction for the town. Met Lynn the next morning at breakfast and greeted with that wonderful question, "tea or coffee". Lovely place to stay in a great town. Went to the Beach restaurant on the wharf twice, food exellent. Wanted to try the Loft but closed on Sundays when we tried to book. We used 3porthminster as a base and visited Landend , The Lizard and other great places all within easy reach of St Ives . A drink in The Sloop was a must and there are a lot of nice local restaurants to choose from for a nice evening meal .. Located just far enough away to get some peace and quiet. The steep climb is worth it. Blas Burgers, Cellar Bistro, Gurnard's Head, Pedn Olva Hotel, Moomaid ice-cream parlour, Tate gallery, walk to Land's End along coastal path from Sennen. Wonderful. Room 3 was lovely and comfortable. Very Very clean and brilliant views into the bay. Lynn was very helpful throughout our stay. I cant believe this is only a 3 star place. The Victorian property is very well decorated with interesting artwork and pieces and some original features. Location is superb and the hosts are faultless. Will stay there again. Two minute walk to the beach and 5 to the local town centre. Recommend live music venues and Barbara Heptworth a must. Pay attention to the unique colour of St. Ives sunlight and I would recommend the bistro in the town centre. A delightful stay in lovely St.Ives made all the more enjoyable by the warm welcome we received from Lynne and the attention to detail she gave to ensure we had all we needed - even down to recommending local restaurants and places to visit. Breakfast menu is chosen the evening before and was ready as soon as we appeared in the dining room - nicely cooked and with plenty of choice along with tea, coffee, fruit juices, cereals, toast and fresh fruit. Our bedroom (No. 1) overlooked the front of the house with wonderful big bay windows giving views over the town and down to the sea. Lynne also ensured we had a parking space (off road) and, had the need arisen, would have been able to move our car should it have blocked anyone in. 3 Porthminster is about 5 minutes walk from the town centre and harbour with all its galleries, shops, pubs and restaurants. Truly a little Cornish gem. We'll be back !! Thank you Lynne. Make the boat trip to Seal Island on the Dolly P - but try to go at low tide as this is when the seals are more likely to be basking on the rocks. Tickets available at the harbour near the lifeboat station. If you love open air theatre, the Minack Theatre at Porthcurno is a must. The views from St.Michael's Mount are wonderful but, again, go at low tide and enjoy the amazing walk along the causeway to the island - return by the regular boat service if the tide is in - £2 per adult per trip (plus a charge to enter the Castle and gardens if you wish). Another (quirky) favourite of ours is The Potters Shop in Fore Steet, St.Ives - pick up a genuine Cornish Pisky !! Hosts were extremely welcoming and made us feel at home right from the start. We stayed in room 3 which had a great view down over St Ives. Our room was immaculate, and had a very comfortable bed. The cooked breakfast was really good, and there was lots of choice. The 'communal' fridge was a great bonus and it was brilliant being able to have fresh milk with our cuppas in the room. Could find nothing to fault at all - a great stay, thank you. We stayed in August, so the town of St Ives was very, very busy - definitely need to book in advance if you are wanting to eat there in the evenings. We had a really nice meal at The Badger Inn in Lelant - only a short drive away from St Ives. We also found a gorgeous little tea-room in a tiny place called Coombe, on the edge of the lovely Tehidy Country Park, we had an awesome cream tea there - they have a great choice of food and drink at very reasonable prices in a lovely setting (sorry don't know it's name - but it's right on the entrance to the country park at the south-western tip on the park's map) and it will apparently stay open throughout the winter too, though then only at weekends. Fab B&B, Lynn was helpful and friendly. Great collection of literature and art, gorgeous food. Clean, comfortable room. We were so happy with our stay at 3 Porthminster. The location was perfect, just 5/10 mins walk to all the attractions. Our room was perfect. It was bright, clean with a comfy bed and everything we needed for our stay. Breakfast was good and catered for my dietary needs also without fuss. Highly recommended B&B. Home to be back again someday. Excellent stay. Exceptionally clean. Plenty of food to choose from for breakfasts. Perfect host. Defiantly book again next year. This house isn‘t only an B&B. For me in my vacation, it was a romantic, warm and clean home. Lynn and John are very good and lovely hosts. They had always „an ear for me“ and were very courteous. They helped with tips and deeds. There house is very lovingly designed and they also appreciate little things. Whether it was a good-smelling Soap in the bathroom, the biscuit on the tea tray or the nicely designed room. Breakfast in the morning was always fresh and delicious for every taste. If I visit Cornwall again, then I would like to stay at 3 porthminster again!!! I loved the Porthgwidden Beach Café. Porthmeor Beach has a great sunset! 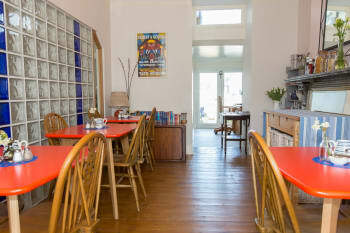 Taste a cornish cream tea at Moomaid of Zennor in St. Ives! Great place to stay, not far from center. Lovely breakfast. Friendly and helpful owners. Been back several times! Nice terrace and Lounge/Veranda, very friendly welcome. Helpful we could use a fridge. - Take the large room (the compact is fine as well). We took the bus to Lennor and walked back - very stunning views, I strongly recommend. We were in St. Yves out of season and it's not been crowded. Beautiful beaches. All in this B&B is perfect and made with care. 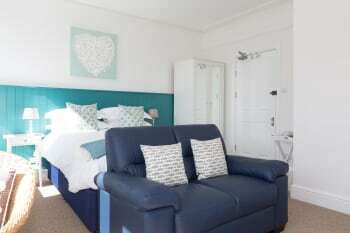 Excellent location, excellent breakfast, rooms comfortable...all you need for a fantastic holiday in St Ives! Beautiful window view. Very close to city centre and to the beach. Lovely lady and very friendly. Close to everythink so you don't need to drive. It is on a steep hill so maybe more difficult to walk back up for those less able. My second stay at this guest house. Good location and pristine throughout. Stayed in the ‘best’ room with sea view, which was a bit pricey, as the others were booked. But they are all nice. The breakfast is excellent. The Digey cafe St Ives Becks fish and chips at Carbis Bay Godrevy beach at Gwithian Porthmeor beach at high tide - spectacular! Friendly, helpful proprietors. Bright, immaculately clean accommodation. Very good breakfast with wide choice (not greasy) - homemade compote delicious. Efficient shower. Elevated position means great views but quite hard work for older or less able visitors; however, taxis are plentiful and not too expensive and there are buses during the day (not in the evening). Good restaurants: Beach Restaurant and Porthminster Kitchen by harbour - mainly fish, average prices; Porthminster Beach Cafe - excellent, quite expensive. Worth seeing Penwith Gallery (as well as Tate & Barbara Hepworth Museum & Garden). Very well organised, friendly and comfortable accommodation with delicious breakfast and quiet rooms. Great accommodation in a convenient location in St Ives, owner very helpful and accommodating whilst the breakfast food and choice was good. Hotel very tastefully decorated and spotlessly clean and would thoroughly recommend as a place to stay. Fantastic few days break. Great B&B, lovely light room on top floor with very comfy bed and nice view of the sea from one of the windows. Breakfast was very nice too. Lynn was most welcoming and helpful. Didn't meet John, would have been nice if he had come out and said hello. Overall a lovely stay. This property is a little way up a hilly street if you're not the fittest but certainly good workout and nice views. 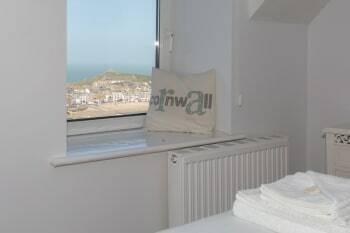 Excellent location, being a short walk from the centre of St Ives, the beach and the train station. Excellent service and delicious breakfast. Lovely sunny room, clean, tidy and contemporary. We booked the room of very short notice but all went so very well! Lynn was so nice and did give us a very warm welcome. Our room was just great, very comfortable and nice furnished, we felt like home. Also the room and the whole House is very clean. You could choose what you like to have for breakfast and all of it is freshly made by Lynn. We can recommend this B&B and would Love to come again to this lovely place. A wonderful B and B with very friendly, welcoming hosts. Highly recommended, and we'll certainly be visiting again. Breakfast was superb! Thank you. The Seafood Cafe was great, also the Porthgwidden Beach Cafe. Nice place, fantastic view, short distance to beach, town restaurants. Everything was perfect! Made very welcome upon arrival. Breakfast was excellent. Although I only had the cooked breakfast there were other choices available. Our room (3) was very nice with a lovely view of the town. If you pick room 3 or 4 be ready for the stairs as it's at the top of the house. The Beach Restaurant and Mermaid are excellent places to eat, everywhere we ate in St Ives was great but these two stood out for us. Do go and see the Minack Theatre and visit Lands End as they are both really close to each other. The Barbara Hepworth Museum was a nice find and worth a visit. We shall be returning again in the future. Our 4 night stay at 3Porthminster was fantastic and Lynn is a wonderful host. Before our stay there were a couple of emails and her communication was excellent with prompt friendly and courteous responses. 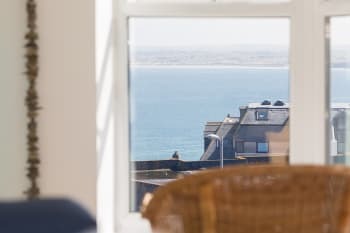 We stayed in room 3 which had amazing views of St.Ives and I believe other rooms also have great scenery to look out on. A full English Breakfast was delicious (as well as continental options) and made to order each morning. The location is brilliant. The hill into town is steep but short, and legs get used to them in a day or so. 3Porthminster also offers car parking, and parking in St.Ives can be an issue. It’s a great home base to tour South Cornwall and only a short distance to many local attractions. 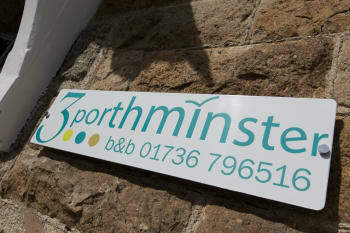 We would recommend 3Porthminster to anyone considering quality accommodation in the region. We were given a friendly welcome from the host on arrival and shown our room which was beautifully decorated and furnished to a high standard. It was light, bright and airy with two big windows, one with sea views. The room was spotlessly clean too. Breakfast was cooked to order with cereal, fresh fruit, homemade fruit compot & yogurt to help ourselves to. All lovely! We would definitely stay again. 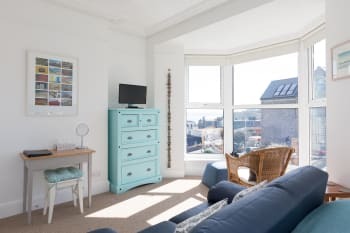 The B&B is situated at the top of the town so it is close to walk down to the town where there are plenty of shops, cafes and restaurants to choose from, as well as the lovely beaches. sensible shoes are needed as the roads are really steep down from the B&B. Beautiful accommodation, so clean and bright. Hosts amazing. Breakfast excellent location fabulous. We had another highly enjoyable stay at 3 Porthminster. 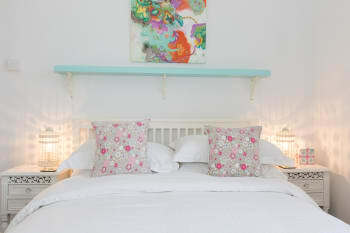 I believe it is currently the finest guesthouse in St. Ives. The accommodation is attractively decorated and there is a high level of cleanliness. Recommended restaurants: The Mex, Firehouse, Curry Garden, Caffee Pasta. 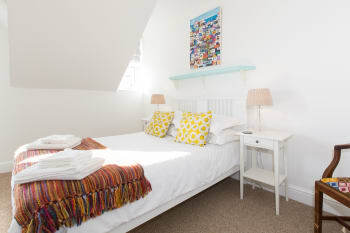 This B&B is ideally located and within easy walking distance of harbour and town centre. The walk back up to the accommodation is relatively steep but the less able and willing can always get a taxi. The quietness of the location compared to the bustle of the town centre especially during peak periods outweighs the incline! Our room had a lovely view over the entire harbour and town centre and It was very comfortable and spotlessly clean ...and there was always plenty of hot water for washing and showering, etc. The delicious breakfast was freshly cooked by the host and served with a smile by the hostess! Would definitely recommend it to friends and family. Being a popular resort there is wealth of eating places scattered throughout the town and seafront so difficult to recommend any in particular. However, if you want something different in the evening we found a little gem of a restaurant called The Hidden Kitchen which offers fine dining, again to be highly recommended. A really lovely place to stay. It was a lovely place to stay to enjoy St.Ives. It was clean, the staff were friendly and it was a good location. I would recommend this B & B. Excellent location and lots of thought had gone into the facilities provided. Parking on site was also a huge asset. Our room was delightful, especially the harbour view. Lynn couldn’t have been more helpful and we would definitely go back there to stay if we are ever in St. Ives again. 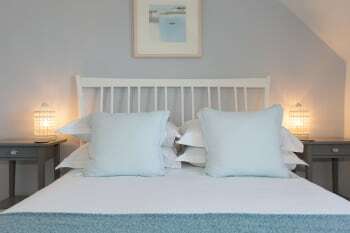 Fine B&B , good location within StIves , car parking , very welcoming and helpful hosts . Very good cooked breakfast . Clean , comfortable accommodation with modern facilities . We were impressed at the standard of the accommodation and in particular the very pleasant nature of our host, Lynn, and her helpfullness. Would be happy to stay here again if ever in St Ives. Excellent location for exploring St Ives and sights around Cornwall. I couldn't have picked a better guest house! We stayed in room 3, which had a good view of the harbour and a very comfy bed. There was also the benefit of a parking space, and was within easy walking distance into town. The owner, Lynn, was very friendly and helpful, and breakfast was tasty and well presented. All in all we had a pleasant stay in very tasteful surroundings. I can highly recommend this guest house, I don't think you will be disappointed. As we were self catering we didn't go out all the time, but can highly recommend 'The Queens Hotel ' for food and 'The Hub ' on the harbour for food and atmosphere. Give the Albatross (fish and chips) a miss though! We just love Cornwall, and in particular St Ives. Go to Sennen Cove and Gwiithian to look at Godrevy lighthouse, and try and leave those spectacular seas! Good restaurants hidden kitchen, Porthminister beach cafe and Back street bistro Idyllic beaches was busy in festival week . Did the history of fishing walk almost every pub seemed to have a live band on each night. Fantastisches B&B! Super schönes, sauberes & modernes Zimmer. Sehr gutes Frühstück. Super nette & zuvorkommende Gastgeberin. Beautiful B&B. Everything immaculate and a great breakfast. Sadly only stayed for 1 night but would not hesitate to stay again when in St Ives. Very friendly hosts. Nothing was too much trouble. Very clean and delicious food for breakfast. Book restaurants before arriving in St Ives. All very busy in August. Recommend Scoff Troff Cafe pizzas and Seafood Cafe for seafood. the courtyard in fore street for cream teas. Lynn was so welcoming and pleasant she really made us feel at home. The b and b was absolutely fantastic and our room felt perfect. The breakfast was delicious. In short, a great host and fantastic place. Highly recommended and would stay again in a heartbeat! Lovely hotel in a great location,convenient for town and seafront. Room clean and spacious. Great breakfast and sevice. Parking can be a problem in St Ives so finding a hotel with parking at a reasonable price made it a must stay. Our 4th visit to 3 Porthminster. Excellent B&B. Very good hosts. On site parking. Spotless room. Powerful shower. Tasty breakfast. Sensible prices. We will definately be back! Beware the feathered threat! The seagulls around the harbour are extremely aggressive if you have any type of food. Rent a deckchair on the harbour beach all day and watch the birds strike. The Curry Garden served an excellent meal. The Seafood Platter for 2 at The Sloop was very good too but the beer and cider in there has London prices. All of the beaches are very clean and sandy. Parking is a problem in the town so head for the leisure centre and get the bus down and back unless you're particularly fit. Excellent host. A beautiful b&b, spotlessly clean. Would definitely recommend a stay here. Very near to the bus and train stations in St Ives. Therefore convenient for trips around the coast without the hassle of taking the car. Best restaurants, Porthmeor beach tapas bar. Alba, by the Lifeboat station. The Kitchen, upstairs in the harbour. The walk from st Ives to carbis bay is magical as are the beaches,had lovely meals at the lifeboat inn and caffe pasta,the Cornish pastys are to die for just watch out for the seagulls !! Had a lovely stay. Very welcoming and helpful. would definitely recommend! Ideally located, very comfortable, lovely breakfast, private off-street parking a bonus in St Ives. The Mex in StIves is worth a visit, also The Bean Inn in Carbis Bay for veggie cuisine. Both very good. Very friendly owners. Lovely breakfasts. Pleasant room. Excellent B and B, with great breakfast! Rooms are lovely, very comfortable and clean. We really loved our stay at 3 Porthminster and didn't want to leave! The room was perfect (No.3) and was clean and had brilliant views of the harbour. The B&B was close to town and some amazing sea views. We were well looked after by the host Lynn and would like to thank her for making our stay so pleasant. The Mex - lovely Mexican food and fun atmosphere. Firehouse Grill - lovely steak! Lands End - Sennen Cove walk - breathtaking scenery and Sennon Cove was ideal for Stand Up Paddleboarding. St Michaels Mount - Only 20 minutes away and well worth a visit. Very welcoming and made the whole stay enjoyable. Italian restaurant on the harbour is a must visit. Porthminster B & B was very welcoming. Our hosts responded positively to any requests and gave helpful advice about the area's activities and facilities. In every respect it was a delightful stay. A car is a distinct advantage for out-of-town visiting, but you can walk into town quite easily if you are mobile. The Barbara Hepworth Museum and the Bernard Leech Pottery are well worth a visit. While the Tate St Ives is a splendid modern building, the exhibits are only for those who like rather specialised contemporary art. Places to eat include the Porthmoer Cafe and the Porthminster Kitchen which are both highly recommended, as is the Backstreet Bistro in St Andrew's Street, St Ives. A lovely period house with character, not too many people staying so a very personal touch. we were able to come and go as we pleased. Lovely welcome, excellent breakfast and wonderful attention to detail. 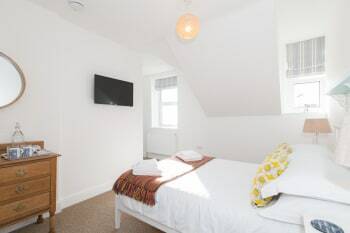 Comfortable room, spotlessly clean, lovely fluffy white towels and quality bedding. Lovely walks along the coast, plenty of places to eat and drink, lovely art galleries. The lifeboat Inn is very good, also, the Harbour Pool club which has lovely views of the harbour and beach. Do go on the train to St Erth and back as its so picturesque. LOVELY WARM WELCOME, VERY ACCOMADATING, BEAUTIFULL ROOM VERY LIGHT, VERY COMFORTABLE BED. THE SLOOP IS LOVELY, AND THE MERMAID IS ALWAYS GREAT TO EAT IN. Great location just a short walk away from the town and beaches. Friendly owners. 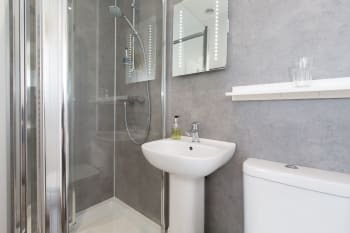 A clean, comfortable ensuite room. Just a minute's walk down the hill above the station is a fantastic viewing point over St Ives. We couldn't have wished for a nicer place to stay in St Ives. From the friendly welcome, to the superb breakfast, everything was excellent. A really friendly place to stay. Great views over St Ives from room 3. Very well located for the town and on site parking is a real bonus. Would not hesitate to stay again. Such a great variety of places to eat. Very difficult to single any out. Take the coast path walk toward Zennon or travel to Botallack to see the old mines hanging off the cliff. Spent 2 nights at this lovely B&B. Lyn made us feel most welcome. We had a lovely view of St Ives harbour and its only a short walk to the town. Breakfast was delicious. 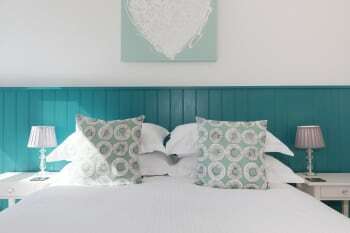 I would definitely stay here again I have tried lots of B&Bs in St Ives and this is one of the best. Plenty of good restaurants and bistros. If you like live music there are a few pubs in the town that have live music at weekends. Lovely coastal walks. Very accommodating b and b. Modern and vibrant room. Had two comfortable night stays with lovely sea view. Nice breakaway from city life. Sloop inn on Friday nights- good vibes & great music! Fantastic stay at 3 Porthminster! Lynn was an excellent host and the two rooms we stayed in were lovely, clean and very comfortable! The breakfast were delicious, making the most of local produce. Although the walk was slightly steep into town, we managed very well and I would highly recommend this B&B to anyone. The Black Rock restaurant was amazing. Although on the slightly more expensive side, a fabulous treat. 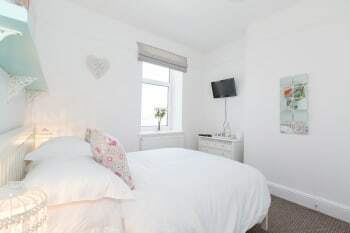 Lovely accommodation; close walking distance to town & beach. Greeted by friendly & welcoming owner, Lynn. Who, from onset offered to carry our luggage to our room on the second floor! Room & bed comfortable, with well stocked complimentary tea/coffee tray. Bathroom very spacious. Breakfasts delicious & filling. Tariff reasonably priced, considering location & amenities. Would definitely recommend family & friends to stay. Hope to return next year to our favourite UK holiday destination! Thank you Lynn for an enjoyable stay. Short walk to shops & beaches. Highly recommend The Mermaid; fab place to enjoy some wonderful fish/ steak meals. It's tucked away, up a side street, off Fish Street (on the beach side) Really worth finding...book in advance; very busy place! Plenty of places to eat, to suit all tastes. Has a mix of high street shops, as well as quirky boutiques. Fabulous thoroughly enjoyed our stay.Room was lovely view fantastic would stay here again if in the area again.Breakfast superb with good selection of cereal jams etc. Walks to various bays etc a must.Cornish arms up the hill on route to Carbisbay worth a visit for good food catch the bus up and walk back to take in the fabulous views of St Ives.Lots to see and plenty to do leave car alone for couple of days and enjoy all the little streets and alley ways that St Ives has to offer.Weather was wonderful for time of the year. We were made to feel very welcome. The accommodation was lovely and very clean. Breakfast choice was good and the food was delicious. We had a very happy and memorable break and hope to return soon. We particularly liked the Beach Restaurant and Sea Food Cafe, but early booking is recommended at both locations. Lovely coastal walks. Enjoyed our visit(s) to the Stowe Gallery on Street-an-Pol (near town hall). We had a wonderful stay. 3 Porthminster exceeded our expectations. The room we stayed in was absolutely charming and it was difficult to leave. Our hosts were wonderful. We highly recommend it. We had a wonderful time. Lyn and John looked after us well. Excellent breakfasts, warm welcome and very cosy beds. Delightful stay ,short as it was ,we shall be back. Lovely room and Lynn did everything to make us feel very welcome. Great breakfast too. John and Lynn are friendly warm and welcoming and made us feel at home. Food and facilities excellent and we highly recommend staying at the porthmeister B&B. Local restaurants and pubs provide excellent service and all the people work hard to make your visit enjoyable. Fantastic place to stay. Room was spacious, very clean and tastefully decorated. Beautiful views from the room looking over St Ives harbour. Breakfast was excellent with plenty of choice on offer. Overall had a wonderful stay and highly recommend. A really nice b&b, that is immaculate throughout. The rooms are lovely, the breakfast as amazing!! And run by a lovely couple. Carbis Bay is worth a visit, gorgeous beach. If you going to eat anything on the beach, watch out for the seagulls, they are greedy!! The Indian near the cinema is worth a try, great food! Evening sunset on porthmeor beach. Seals in harbour each day. Fantastic bed and breakfast, highly recommend. We booked for 4 nights and received a really warm welcome, Lynn and John went out of their way to be helpful in every respect. 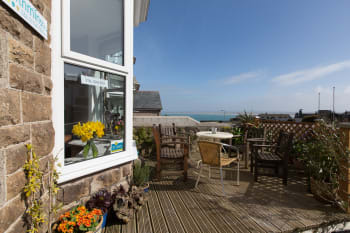 The location is perfect, a short walk to the beach and the town but in a quiet spot, the breakfast was excellent and it has parking which for us is a must in St Ives. 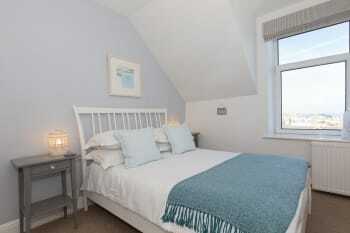 So, if your looking for the ideal place to stay in St Ives, look no further! Lynn and John couldn't have been anymore accommodating. A great b&b with friendly owners. We stayed in room 1, which was breathtakingly beautiful and immaculate. The view from the room was stunning and there was lots of room and storage which made the stay so much more comfortable. The service was so personal, attention to detail really made us feel special. We got married whilst we were there and Lynn and John decorated our room with balloons, bunting and love heart chocolates even leaving us a poem... So thoughtful. The breakfast was very well organised and so yummy especially the thyme tomatoes! Having stayed in st Ives before we had experienced problems with the parking so it was a relief to find somewhere with parking! Only a 5 minute walk into the shops and restaurants. Perfect location. A few restaurants to eat are, the Hub, Alba, the tea rooms, Blas Burger, Porthmier, all fabulous. The Barbara Hepworth museum is a must, as is a drive to Cape Cornwall. Very nice hosts, great B&B! Great accommodation: nice room, delicious breakfast, convenient location - recommended! Fantastic service and place to stay, if I were to make any comments: The mirror in room 2 looks fantastic but isn't the most practical when trying to get ready for a wedding. Lovely B & B fantastic helpful owners, superb breakfast, would most certainly recommend to anyone looking to stay in thiis lovely part of Cornwall, would definitely like to return, thank you Lynn and John for making our stay so perfect. We came here for our honeymoon and was greeted with Lynn who was very friendly and gave us lots of advise on where to visit etc. Our room was beautiful and clean and had a great view, she had written us a congratulations card and left us some love heart chocolates! Our room had lots of space for all of our things and was always cleaned on a daily basis! Breakfast was gorgeous and never had to wait for it due to a form we had to fill in the night before about what we'd like and what time! Thankyou so much for a lovely stay! Wish we could've stayed longer! St Michaels mount, healeys cider farm, boat trip to the island (loads of seals there). Watch out for seagulls! The Mex was a lovely restaurant, as was the firehouse! We are looking forward to coming back next year. You are very friendly and helpful. Very welcoming and hospitable always with a smile on the faces, room was always kept to a high standard and breakfast cooked to a very good standard. Not far to local shops and restaurants, although a bit of a climb up the hill but good after a meal, restaurants of good standard. A good beach not a far walk away with local train if further afield needed. Perfect location, lovely host. Highly recommended! We had a really great stay and wouldn't hesitate to come back. You were especially accommodating given our circumstances and went out of your way to help. Thank you! All as described on the website. Very accurate. Always helpful, no matter the questions. We felt very much at home, and enjoyed so much staying at this B&B. Only a few rooms, which is perfect if you like to stay in a quiet place. Lots to choose from. Question of taste really. Excellent hosts, very attentive and b&b was lovely and clean. Everything you could want for a break in Cornwall! Really tastefully decorated B&B, very clean and the owner is lovely. They were also very helpful posting clothes to my address after I idiotically forgot to empty out a draw. The St Ives cafe opposite The Tate does the best tapas. Also advise paddle boarding, we opted for JB Adventures and the instructor was really friendly and informative. Lovely accommodation, owners and breakfast. Very conveniently located for railway station, town and beaches. Queens hotel in the centre of town does excellent meals and is very child friendly. A lovely little guest house with everything me needed right on the door step! Perfect! It's really close to everything, but at the top of a very steep hill- ideal for us as it meant I could eat what I wanted and burn off the calories walking home! If you struggle with steps or hills, just ask for a bus timetable as one drives right past the door! 1, book restaurants early in high season, at least 24 hours ahead or more. 2, expect the town to be completely overwhelmed at weekends with tourists in high season. 3, View the seals sometimes visiting Smeatons pier front around 8-9pm in the evenings 4, enjoy a walk to the Island and see lots of wildlife and good views around there. Very clean lovely b&b staff were very nice and were very helpful. Breakfast is good quality and the sea view from the room was very nice. 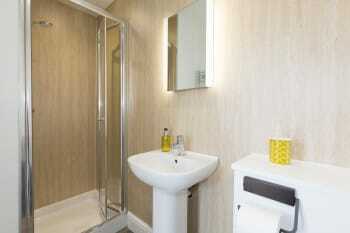 Only a few minutes walk from the town a very convenient location. The only thing I would grumble about is the bath didn't have a plug so after a long day of walking around you can't have a nice relaxing soak! The rum and crab shack and the seafood cafe are both very nice places to eat although book early to go seafood cafe as it gets very busy. My wife has a knee problem otherwise I would have scored Location as 4. We had the twin room which was a little small but the very best had been made of the space available. Lovely B&B, spacious room (room 1) although shower small and took a while to drain. Breakfast very tasty, friendly service and helpful with advice. Would definitely recommend. Book restaurants in advance at weekends, a trip to Porthleven to Rick Steins restaurant highly recommended. Lynn & John made us feel very welcome. Friendly & helpful. Great breakfast & excellent location. Seafood cafe on fore street had really fresh seafood. Tate st Ives & Barbara hepworth museum. When visiting StIves Barbara Hepworths garden is well worth seeing. Lynn and John are great hosts. our bedroom was quite small and it was nice to have access to the large guest sitting room. We loved exploring St Ives on foot, leaving the Car parked safely in the drive at 3 Porthminster. Delightful find, lovely hosts, great location and we had a lovely view from our room. Will definately want to book up for next time we are coming to St Ives.